The after-match of the England game provided some interesting comments from the Manager, Sam Allardyce, about the Captain’s performance that have led to a number of questions and lots of assumptions. The backdrop was that Wayne Rooney was deployed in a 4-1-4-1 system and essentially given a free role that allowed him to wander around the pitch and dictate and prompt the direction of play from wherever he saw fit. This proved an interesting addition to the structure of the game that tactically provided a variety of different affordances. However, what has proved to be a talking point for the media and fans alike was Sam’s comments that “I don’t need to tell Wayne Rooney where to play” after several passages of play during the game where he picked the ball up in a deeper, quarterback role and managed the game in a different way. It appears many believe that he does. Now, if we are going to move towards a philosophy whereby the players have ownership for decision making we can’t then employ a methodology that contradicts this and the Manager tells the players what to do constantly. They conflict. But that is not necessarily the issue for this short post. The part that interests me is probably two-fold. The first is that people have questioned Rooney’s dropping into different positions without actually ASKING him for his opinion. There was some very generic questioning after the game as you would expect and some very straight-bat answers. In order to make a truly sensible opinion, and limit the tangents of commentaries that I have read, why hasn’t anyone asked him about his performance? Why did you choose to take up certain positions in the game? What tactical outcomes were you trying to achieve by dropping deeper? What pictures were you seeing that you thought you could influence or create? What weaknesses did you try and exploit? How did you try and manage tempo and momentum in the game by taking up different spaces? How did you try to ensure connectivity between players and roles? How effective were you at doing this in the game? What could you have done differently to have impacted in different ways? Correct me if I’m wrong, but of all the people raising these queries and throwing in their two pennies worth, not a single one of them was on the pitch playing that game? None of them have seen the game through his eyes and would have had the same tactical insight into what he was seeing. We just make assumptions. That isn’t to say that if you haven’t played the game at the top level that you cannot have an opinion, I’m not saying that. But in order to be truly understanding of how he was trying to solve the unique problem posed in front of him on that day we have to ask meaningful questions. We are all too quick to think we know before hearing the answers. This leads on to the second part and how I think as coaches we can take onboard some of the above and not make similar mistakes. I was at a coaching conference once and watching a game going on, sat in the bleachers on the side of the pitch with some coaches I knew. A lad went down the left side of the penalty box, opposite side of the pitch to us, got to the bye-line and with his right foot tried to cut it back across the goal. One coach behind me started to berate the lad, saying he should have done this or should have done that, he has no left foot etc. Reasonably valid coaching points. Maybe. However, how does he know what the player was thinking? He didn’t have a clue! It was at this point we started to discuss a similar process to the one above and the questions that should be asked of the lad BEFORE you throw your wisdom at him! Bear in mind as well, this wisdom came from about 70 yards away as well! What picture did you see at that time? Why did you choose to go with your right foot instead of your left? Would you like some feedback from my position that may help with this situation in future? Because (and we don’t know) he could have been running out of pitch so quickly that he had no option but to use his right foot. He could have figured that playing it in his stride at that time gave him the best opportunity to get the ball through a small gap to a team mate. He could have had the correct idea but the execution was poor. He could have hurt his left foot earlier in the practice and this was the best solution to that problem for him at that time. ← Do we need a coaching re-think? So very true although I think Rooney slows the momentum of the side down trying to dictate play from deep.I can relate to your comments with my u11s I’ve recently had a breakthrough with my striker because I changed my coaching approach.I started asking him what he saw and what he intended it was a real light bulb moment for both of us .I always felt previously he was resisting any coaching I would give always reacting defensively. Thanks for the comment and pleased you have had some success with your striker! Might have just been that one little moment that can develop that link between the two of you to maximise learning moving forwards. Good stuff. Nick – I found this post very enlightening and reinforces the changes I am working at . I have found over the years, I have tried to have a good player coach training relationship. I sometimes jump to conclusions without giving the player a chance to help coach themselves. Although my coaching style has changed over the years (hopefully to the better side) I have to be careful not to slide back to my old ways. Thanks Sam and appreciate you sharing the changes and evolution you have made. Sure it’s great for the players! Thanks for the insightful and thought provoking comments! I’m a boys U9 coach and what I take from your blog is that our job as coaches is much more than just teaching kids to kick or chase the ball or dribble around cones. We need to be able to develop players that have the game smarts to understand what impact their actions and decisions have on the result. I only hope that I can provide the learnings to my players So that they can become intelligent and successful players in the future! 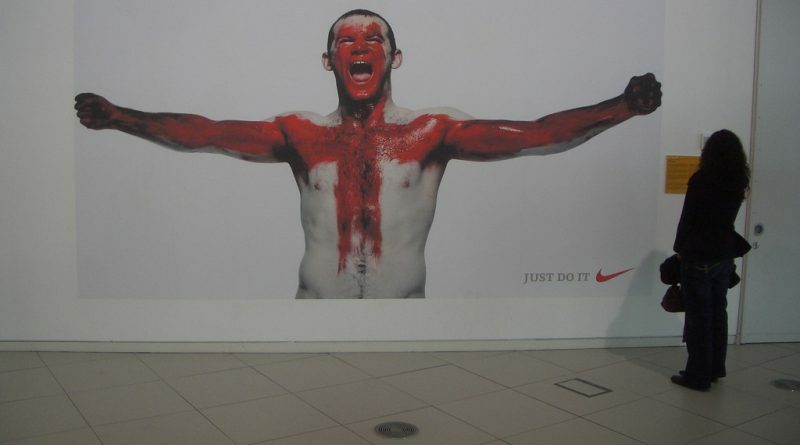 On England, I think Rooney is a fantastic, intelligent player who deserves the respect Big Sam has given him. My only concern with Sam’s strategy is that I think it undermines the contribution of the other England players. Football is a first and foremost a team game and I think England would do better to play to the strengths of all of the players where possible, rather than one.